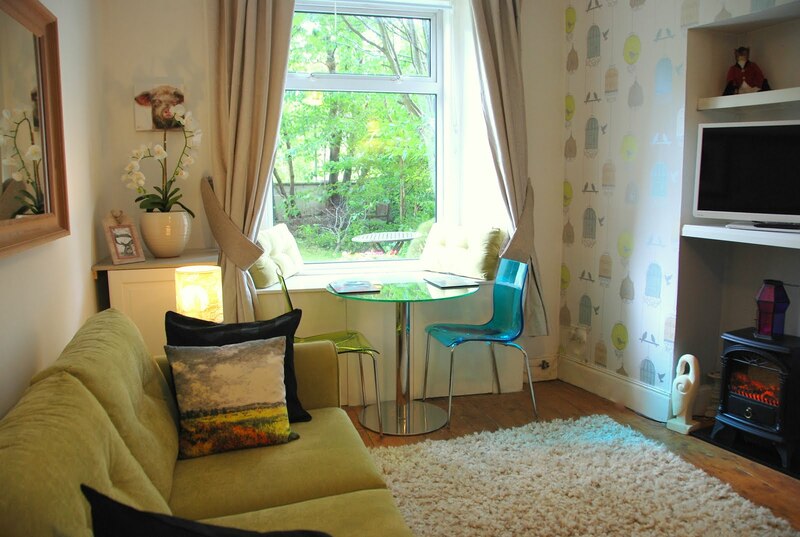 We have just taken on a wonderful city centre apartment as a holiday rental. We now have a 4 bedroom, 3 bedroom, 2 bedroom and 1 bedroom holiday accommodation to offer guests to Edinburgh! This new apartment is a slightly different in that's it's very close to the Royal Mile, just a 5 minute walk. It's also a contemporary style, with stunning views over parkland and beyond. 2 lovely sized bedrooms, 2 bathrooms, internet, fully fitted kitchen, perfect for 2 couples travelling together. I am currently updating my websites with photos of this new apartment, if you're visiting Edinburgh soon, do consider one of our Edinburgh holiday lets they are all truly unique and stunning! If you're looking for late availability in Edinburgh for September we do have our new apartment with special rates along with a few days left at our Georgian apartment.